Kiwibank has bought out the 24% of mortgage broker New Zealand Home Loans, the source of about 30% of Kiwibank’s mortgage business, that it didn't already own for an undisclosed sum. In a press release New Zealand Home Loans' chairman Neil Richardson said the firm will continue operating as a separate entity and pledged no changes to its business model. 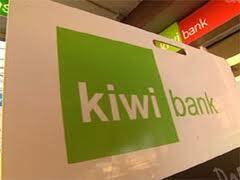 Kiwibank bought 51% of New Zealand Home Loans in 2006 and has progressively lifted its stake since. The buyout sees Kiwibank buy a 15% stake from co-founder and former CEO John Erkkila, 5% from Richardson, and a 4% stake held by an Alison Harris, Robert Fletcher and Philip Harris, according to Companies Office records. A spokeswoman for New Zealand Home Loans said the firm would continue working with Sovereign Home Loans, its other strategic loan partner aside from Kiwibank, with the plan that the 75% to 80% of its new lending business going to Kiwibank now would continue. Sovereign Home Loans is a unit of insurer Sovereign, which is part of the ASB Group. Neither Kiwibank nor New Zealand Home Loans would say how much the bank is paying for the 24% stake in the mortgage broker. Kiwibank paid about NZ$8 million for 51% of New Zealand Home Loans in 2006. At that point the mortgage broker's customers had about NZ$1.7 billion of home loans. As of March 31 this year, Kiwibank's home loan book stood at NZ$11.4 billion. Richardson said Kiwibank and New Zealand Home Loans will operate as separate but complementary businesses. "It was important for us to remain in 100% New Zealand ownership and keep millions of dollars of mortgage funding in the New Zealand economy, so we’re delighted with this move," said Richardson. New Zealand Home Loans, which was established in 1996 by founders Erkkila and Murray Ferguson, will continue operating under its existing management from its Hamilton headquarters. The firm has a national network of 59 franchises and 190 consultants and accounts for 30% of Kiwibank’s mortgage business. Richardson said this year the company will write about NZ$950 million and expects to reach NZ$1 billion in its next financial year. (Updates add further detail, including price Kiwibank paid for 51% in 2006 & continuation of Sovereign relationship).